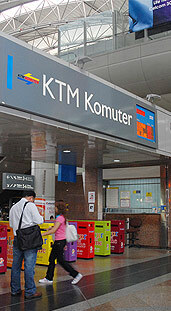 The KTM Komuter is a fast and efficient service that caters especially to commuters in Kuala Lumpur and the surrounding suburban areas. Copyright © 2008-2009 Malaysian Resources Corporation Berhad (MRCB). Web Designed by Maximus System Solutions . Powered by Malaysia SEO .